Type “Successful Dyslexics” into Google, and you’ll find a long list of celebrities, poets, painters, and entrepreneurs, people you’d never imagine one day struggled in school. But they did. Children and adults with language-based learning differences do not thrive in a traditional classroom where pen to paper, desks in rows, and timed tests are the rule. There are better ways for dyslexic students to learn. Classroom methods aside, one way to reach and empower children with dyslexia is to allow them to flourish creatively. We don’t know exactly why children with dyslexia tend to be creative (there are many theories that we won’t go into here), but many dyslexic kids grow up to be design professionals, visual and culinary artists, architects, and other professionals who think creatively for a living. For this reason, Jane Childers, Director of The Learning Center, and Sarah Heller, TLC art teacher, have collaborated to build a program called “Talent Workshop” for dyslexic students in The Learning Center at The Lexington School. This year Talent Workshop focuses on “Design Thinking“, a process of innovation through which Learning Center students are free to pursue their individual passions while learning a process in line with creative thinking. Students are working on projects such as 3D design and printing, abstract art, papermaking, ceramics, drawing, woodworking, video game design and the list goes on. To encourage their discovery and increase awareness of their potential, Mrs. Childers and Ms. Heller are taking Learning Center students on several field trips for Talent Workshop this year. The trips are designed to showcase a variety of creative careers that might be attractive to Learning Center students in the future. And in typical Learning Center fashion, these field trips are active, engaging, and creative. On the first field trip, students visited two architectural firms, a video game designer, and a restaurant/pasta factory. At EOP Architects, the students toured the firm and saw the architects in action. After the tour, they divided into groups and worked with an EOP architect to design the “perfect classroom.” After completing their plans, they gave presentations to share their designs. At NOMI Architects, students toured the design studio and amazing fabrication facility. 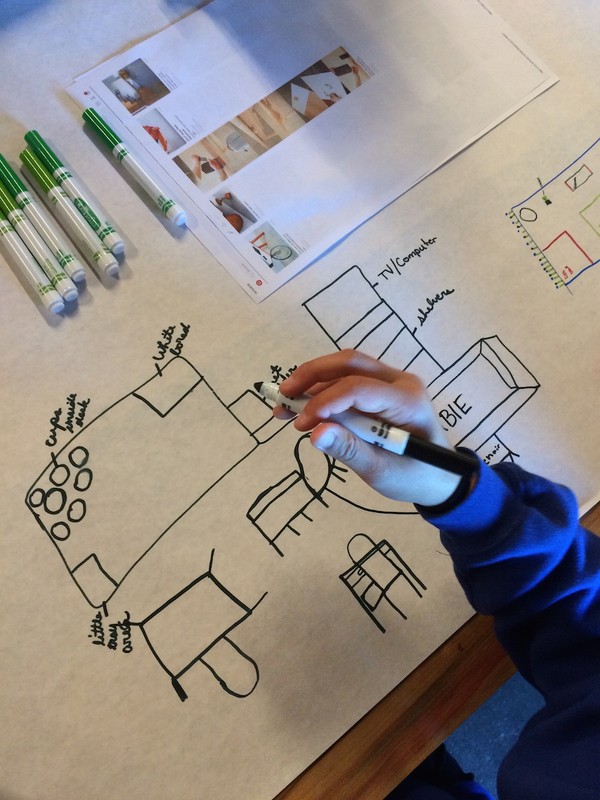 Having designed the “perfect classroom,” it was time for students to design “the perfect desk” (see their innovative images in the gallery below). Next on this creative journey, students spent time at the video design firm Gun with designer Wes Keltner. Mr. Keltner demonstrated the process he takes to design state of the art video games. He even gave students a sneak preview of a new game he is in process designing. Next was the “multisensory” lunch at Pasta Garage where everyone enjoyed delicious food followed by a behind-the-scenes tour of the kitchen where Lexington Pasta is made, packaged, and sent out to local restaurants. This was the tastiest part of the adventure, but each of the four talent stops brought relationships, knowledge, and excitement to everyone involved. Already Wes Keltner is mentoring a Learning Center student as she develops her first video game, and all the great people involved in the day were moved by the enthusiasm and brilliance of this group of kids. The kids were moved too. All children have talents. Our job as educators is to peel away the layers of doubt and fear. We have to hold their hands, show them they can, and then we must give them that metaphorical or literal canvas, the time, the nudge, and freedom to find that beauty and that passion. It is all there ready to been revealed. Talent Workshop clears the path to that journey and lets these children shine.